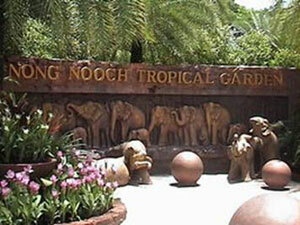 The Khao Kheow Open Zoo of Thailand is a naturalist’s paradise. 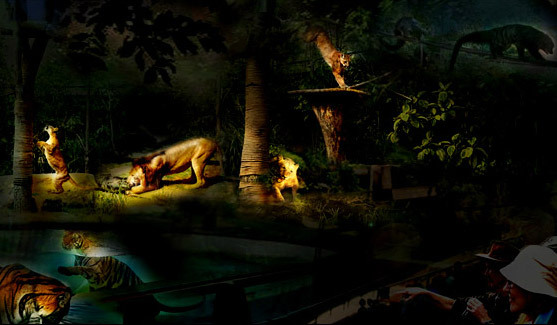 The warm hospitality of the zoo simply ads to the wonderful experience that you are about to have. Check into our camping resorts and enjoy a scrumptious meal at the Green Hills Restaurant. Spend your first day of the trip, soaking in the beauty of nature. Explore the sightseeing safari at the day time where you witness a large variety of wild creatures in the Bird aviary, Australasia, Lemur Land, Penguin Parade, Bird & Friend show and Wildlife animal presentation. 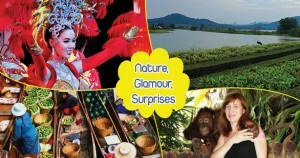 After some relaxation and a delicious Thai dinner at Green Hills Restaurant, venture into the wild night life as you join our expert rangers in the Cat Complex – World Collection of wild cats, Journey To The Jungle After Dark Show – Wild Animal show and the most popular Khao Kheow open zoo Night Safari. The zoo has an international level restaurant that serves best of both Thai and continental delicacies, so enjoy your journey down the food lane here. 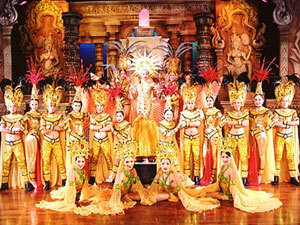 On the next day is a memorable Pattaya tour that will allow you to absorb the rich and overwhelming culture of Pattaya. Post breakfast the tour takes you to a serene Silver lake –Pattaya Grape Escape. 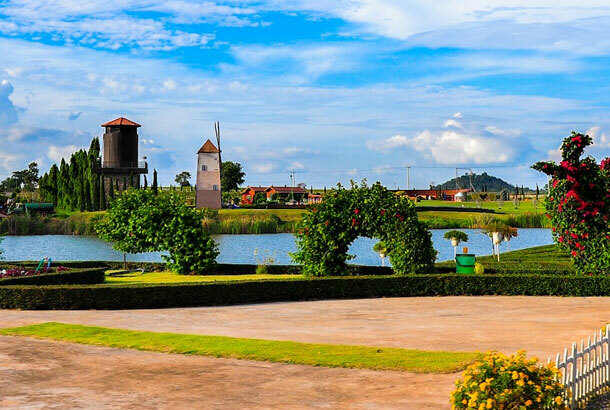 It is a very famous tourist attraction in Pattaya due to its verdant atmosphere, clear blue lake and Vineyards. The place offers a relaxing time with your family and a chance to explore the grape farms. Next up is the Nong Nooch Garden, with several wild animals, a variety of Palms, Cycad’s, Orchid’s and an array of restaurants to choose from. It is Thailand’s most visited entertainment park. 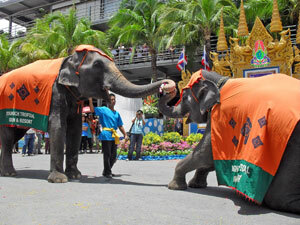 Enjoy the famous elephant show and cultural shows of Thailand. Watch the jumbo elephants play football, basketball, and dance and even ride a bike!!! 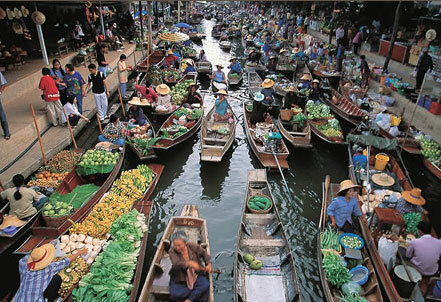 The late afternoon is booked for a trip to the famous floating markets of Pattaya. The market spreads over an area of some 8 acres, and is supported by Tourism Authority of Thailand. The floating market is famous for its traditional Thai craftwork, clothing, antiques, spices and several eating places that serve unique and delicious Thai cuisine.